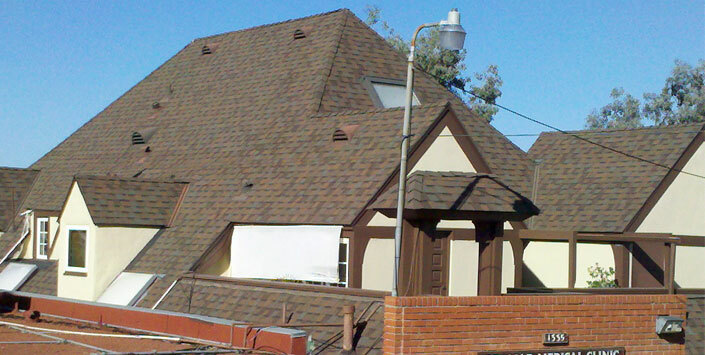 Cardiff by the Sea Roofing, Inc. is a family owned second generation roofing business. We are fully licensed, bonded and insured serving Coastal San Diego and San Diego North County since 1996. Cardiff Roofing provides professional, reliable service and quality workmanship. As members of the San Diego Better Business Bureau since 2005 our A+ rating ensures our continued high standards. Cardiff Roofing offers all phases of roofing, from new construction of custom homes, residential re-roofs, repairs and roof maintenance. We also offer all services for commercial/industrial properties. As the majority of our business comes from referrals and existing clients, Cardiff Roofing provides every job with a crew of experienced journeymen roofers whose main goal is to provide you with a quality roof and maintain our reputation for being an honest, customer-oriented roofing company. "Thank you for the roofing job your crew completed at my home last week. It is so nice to feel that you’ve been given an honest and fair price and a professional job from start to finish." "I just wanted to send you a note to complement you and your crew for the fantastic job you did on my roof and wood trim details on my home. To me the best indication of a good contractor is when they do everything they say they will do and complete the job to that expectation. In your case you exceeded my expectations and that's hard to do! Your crew is very professional and that is a rare occurrence these days. I would recommend Cardiff Roofing to all of my friends and family! Thank you again and feel free to use me as a reference. One more satisfied customer." "Thank you for all your help. Your workers were terrific. If I know anyone who needs a new roof I certainly would recommend your company." "Thanks so much for the great work. If you ever need a reference, feel free to give out our phone or email."